CHICAGO (WLS) -- Police are investigating a deadly crash that killed one man in the city's Morgan Park neighborhood. Police say just before 1 a.m. Saturday, the driver of a truck lost control and crashed into a light pole in the 1100-block of West 111th Street. The man was thrown from the truck as it flipped over in someone's yard. 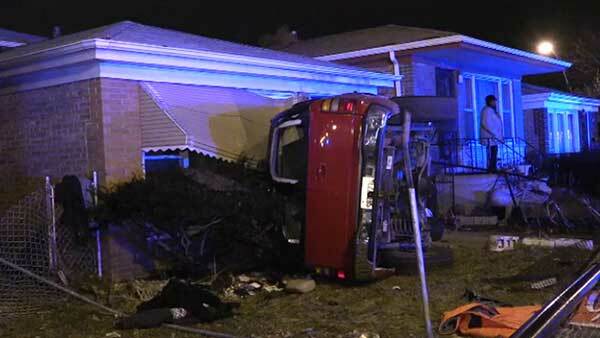 Police are investigating a deadly crash that killed one man in the city's Morgan Park neighborhood. He was found unresponsive at the scene and pronounced dead. No one else was hurt. Police are unsure if the crash was alcohol-related and have not released any information about the identity of the victim.